A few months back, I talked about the books we just can’t seem to get to, that languish in our to-read piles collecting dust bunnies and resenting us. On a contrasting and more positive note, I started thinking about the opposite – the books I’ve been so drawn into and enthralled by that I’ve read them in one or two sittings, while my hands cramp, my elbows go numb from propping me up, and the sun outside rises and sets, rises and sets. I’ve spent days at work, watching the clock, anxiously drumming my fingers on my desk and feeling desperately, perversely afraid that somehow, the characters in the book are going on without me, and I’m missing out on the action. Fortunately, they’ve all stayed right where I left them, to date. 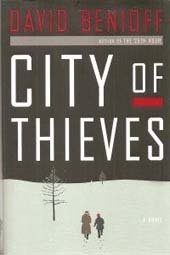 I was most recently felled by David Benioff’s City of Thieves, the fictional account of two young men making their way through the bomb-riddled city during the Nazis’ siege of Leningrad in WWII. It was completely riveting, with some of the most engaging characters I’ve come across. I couldn’t stop reading. What is it that makes a book so captivating that we shirk obligations, risk papercuts, and forget basic necessities like food and water while lost in its pages? Sometimes it’s a case of well-written suspense, of wanting – no, needing – to know the outcome of the story. It is with no small sense of embarrassment that I confess I read all four of Stephenie Meyer’s Twilight novels in under a week. Aimed at an audience much younger than I, formulaic and predictable, with repetitive, trite writing, I was nevertheless completely unable to stop. “Good Lord,” I’d say aloud, while dialing to cancel my dentist appointment, “these are so bad. She really ought to be ashamed. ” Other women – and at least one man – my age have whispered similar admissions to me, so at least I know I’m not alone. If an author is inventive and convincing enough, a story can actually make the reader feel like they’ve entered a different universe, with its own customs, superstitions and characters. Tolkien’s The Hobbit had this effect on me. 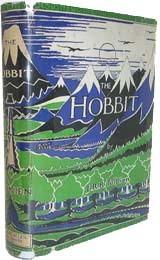 I so enjoyed learning the land, the language and the ways of hobbits that I didn’t want to come up for air until I was finished. The Harry Potter books did that to a lot of people. With the creativity of: specific spells, magical devices and contraptions, wizarding specialties and a whole imaginary sport, Rowling fans were among the most rabid, waiting in long lines, speculating on internet fan-sites, and devouring each book as quickly as their eyes could scan. In some cases, we grow to really care about the characters we’re getting to know, and I for one have difficulty abandoning them midway through their story, particularly if the story involves hardship. It makes me feel like when I close the book to go to sleep for the night, they’re stuck there, in the middle of their turmoil, until I choose to start again. 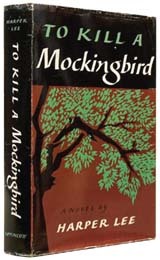 To Kill a Mockingbird’s Tom Robinson, the father and son in Cormac McCarthy’s The Road and the entire Salmon family in The Lovely Bones all had that effect on me, and I chose reading over sleep in each case. Regardless of the why, this is a phenomenon by no means unique to me. It’s not unusual to spot reading-related dark circles under eyes around here, and my coworkers were only too happy to give me insight into the books they just couldn’t put down. Did we miss the most important one of all? Tell us what book kept you spellbound at: media@abebooks.com. What do students read around the globe? Don't miss Required Reading Worldwide.